When we talk about a child’s developmental delay, we often think of challenges such as Autism but this delay can often go on unnoticed for so many children. Often symptoms such as tics, fidgeting, poor digestion, poor bladder tone, poor stool control, floating stool, poor coordination or sensitivity to environmental stimulants, can be signs of developmental delay with your child. If you want to create a significant impact on your child’s life, it is a must to understand the neurochemistry of your child’s development…so here we go. 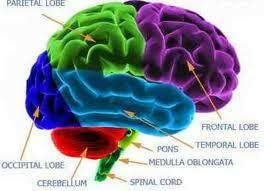 First let’s understand that approximately 1 out of 8 children in the United States have a brain development disorder. Some estimate 1 out of 6. The current convention treatment for this is to medicate with amphetamines, sedatives, antipsychotics, beta blockers and the use of behavioral therapies. Understand that the first three on this list are actually addictive. Yes, these are given to our children. Oh, and the other way this is addressed is to simply hope they will grow out of it…good luck! None of these are the answer and they fail consistently. Medications, hope that they’ll grow out of it and behavior therapy is not the answer. So what is the answer? Nourish the brain! Think about what the brain needs to develop. The brain’s requirements for proper development include glucose, oxygen and fatty acids. These are not options, they are essential for proper development. Another key is eliminating the nutritional and lifestyle choices that are adding to this delayed brain development. The brain is in a constant state of development from conception well into your child’s late teens and these needs continue through this entire time frame. Once the development ends, you have what you have, so you better make this time frame of utmost importance for your kids. One of the early keys to proper brain development is tied into the frontal cortex. This will play a significant role in your child’s ability to stand up, walk and the development of their personality. This frontal cortex will assist in focused concentration, enable alertness, planning, learning and remembering. The frontal cortex will also dampen the limbic activity, which addresses impulses, rage, anger and arousal. Often children with levels of developmental delay have a suppressed frontal cortex which leads to an over active limbic system and the symptoms listed above. Understanding of the role the frontal cortex plays in balancing the limbic system, you can see why it is often mentioned that 70% of the brain is there to inhibit the other 30%. Early on, the milestones in development will include these results. These milestones should begin at approximately 5 months and run through 3.25 to 5 years old. So besides the nutrients mentioned earlier, what else does your child need? Physical activity and stimulation for their brain is another must. Toys should be everywhere for your kids, but not toys such as computer games and television. Toys that make them think and create stimulation of their bodies and their minds. When your child is old enough, get them involved in a musical instrument and learning a second language to continue this stimulation. Playing, whether this is organized sports or just having fun with physical activity. The physical activities should also be those that require a demand from a balancing perspective. Did you ever notice how an infant’s pupils are generally huge? This is due to the fact that the sympathetic nervous system is dominant. As the brain is nourished on many levels this will assist in the further development of parasympathetic activity. If this does not develop, it will lead to difficulty sleeping, constant sugar cravings, decreased intestinal motility, decreased enzymes and digestion, poor intestinal permeability and an inability to control the bowel and bladder. A major key to consistent brain development is neuron migration which will continue through late childhood and into adolescence. This neuron migration is just one factor; we also want to recognize the importance of myelination, synaptogenesis and apoptosis. Remember, as mentioned above, these processes are continuing throughout all of childhood and into early adolescence. At the risk of getting too technical, I am not going to go deeper into all of these processes; just understand that all of these processes play a huge role in the development of your child’s brain. Next week in part 2 you will learn some of the factors to address with your children, what you can do prior to conception and some of the possibly surprising factors that can lead to your child’s lack of proper brain development. If you have any questions or comments to this article please leave your post below for me to answer personally.